Interview: Joe Sacco, Artist Of 'The Great War' Joe Sacco has made a career of tackling difficult subjects through imagery. He's a journalist and cartoonist who has reported on the Middle East and Bosnia — in both written and comic form. In his latest book, The Great War, Sacco turns to history, producing a 24-foot-long depiction of the horrifying first day of the Battle of the Somme. 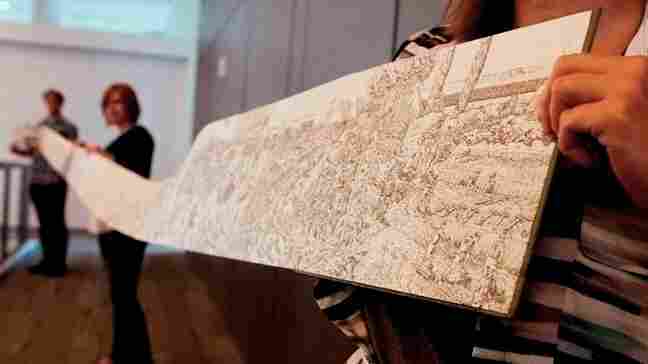 Joe Sacco's new book, The Great War, unfolds into a 24-foot-long panorama. Joe Sacco is a cartoonist, graphic novelist and journalist; he's best-known for his dispatches from today's regions of conflict, like the Middle East and Bosnia, in cartoon form. 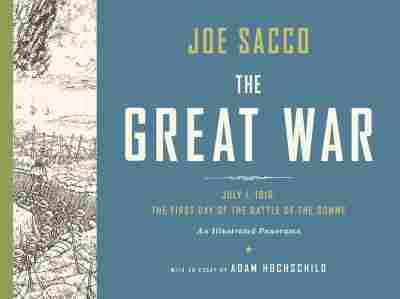 But for his latest book, The Great War, Sacco turns his eye on history. He's recreated of one of the worst battles of World War I, the first day of the Battle of the Somme, from its hopeful beginning to its brutal end. The book is unconventional in form — it folds out to form a 24-foot-long panorama. And while a separate author's note provides historical context, the book itself is wordless; no dialogue, no captions. As Sacco explains, words are not the only way to convey the immediacy of a conflict. "What I try to do with my images is just give the reader a real feel for a place," he says. "It's very visceral. You open the page, and you are right there in the moment." Sacco began drawing comics as a kid, and in college he studied journalism. When he was travelling in the Middle East, Sacco combined the two disciplines, interviewing people and drawing pictures of them as well. The result was his first book, Palestine. As a child, Sacco was also fascinated with World War I. He remembers looking through history books and seeing phrases, like "no man's land," that conjured up powerful images. "To me, it meant if you entered 'no man's land' you wouldn't survive, because no man could possibly live there," Sacco says. "Later on it sort of rolls off your tongue, but I've never sort of lost that sense of awe and horror." 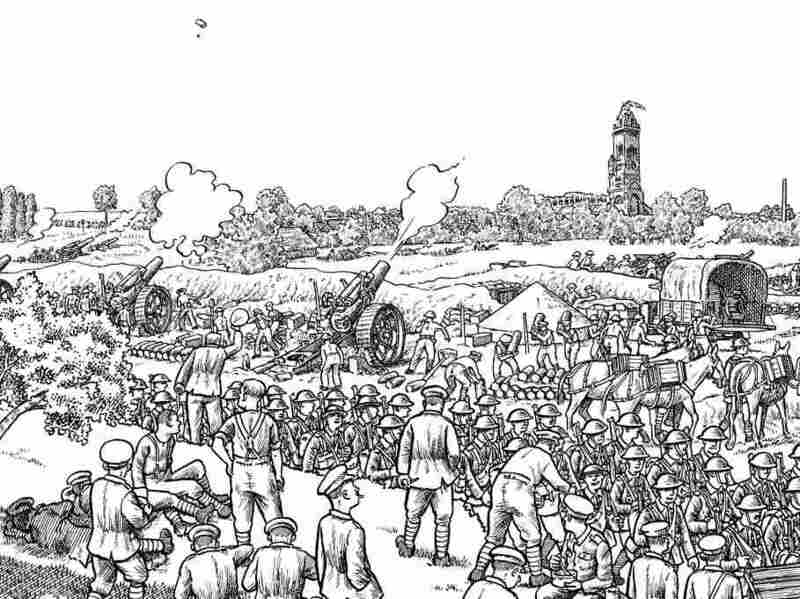 When a friend suggested that he draw a panorama of the Western Front, Sacco was interested, but he wanted to do something with a narrative. He remembered hearing about the first day of Battle of the Somme — an infamous story that's been told many times. Click here to see the image at its full size. The battle began on 7:30 a.m., July 1, 1916, on the river Somme in France. There had already been a series of bombardments; British generals unloaded a week's worth of artillery, thinking it would decimate the Germans and allow British troops to move in easily. But while the bombardment was so loud that it could be heard in London, it hadn't been very effective; many of the shells were duds, and others just hadn't done the job. Then the barrage lifted, and the troops started to move. "When all that noise quieted down, the Germans realized, OK, the shelling has stopped; let's get out of our dugouts and man our machine gun posts," Sacco says. "The British were marching towards them in a line, and the Germans just started firing on these troops." Joe Sacco practices journalism through the medium of comics, communicating his eyewitness reportage in pictures. 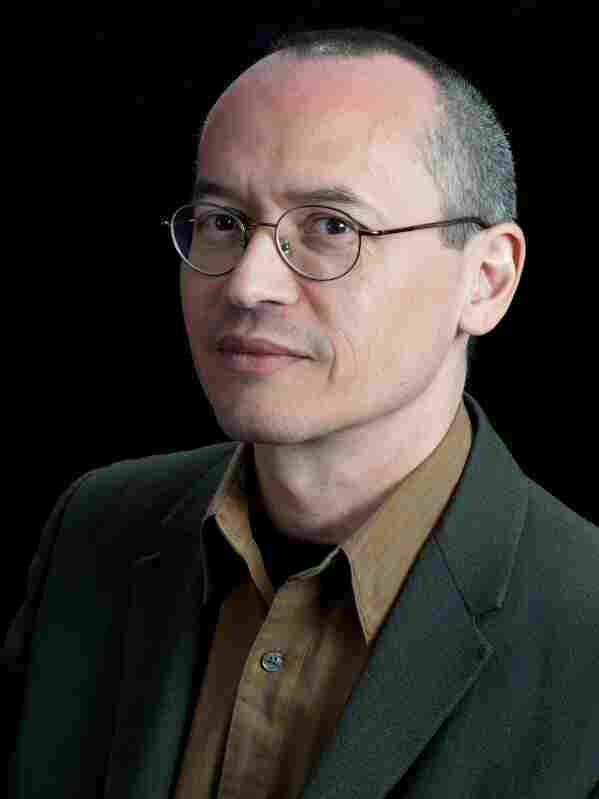 He won the American Book Award in 1996 for Palestine. By the time the day was done, the human toll was staggering: 57,470 casualties among Allied troops, and among those, more than 19,000 dead. It's this terrible day that Sacco set out to draw in The Great War. The panorama opens with images of British General Douglas Haig as the day begins, and moves to the battle itself and its aftermath. Sacco's early drafting process involved determinations of scale, he says: "I did a very rough plan for it, so I knew, you know, I needed three pages to show the logistics, another three to show the troops marching up, four or five when they are in the trenches, etc. Just to give myself a sense of the rhythm before I began it." Each panel in the panorama is dense and detailed. Fresh troops march in looking eager for battle. Some soldiers eat and relax, while others man the huge howitzers that fire on the Germans. Eventually troops begin advancing, and the chaos of war consumes them. In a 1964 BBC documentary, a survivor of the battle remembered the horror: "I'd never seen so many dead men, clumped together, as what I saw then. And I thought to myself, All the world is dead. They're all dead. They're all dead"
Sacco says that it was important to him to include the stories of individual soldiers within larger panorama. "As I was going, I would think about the people," he says. "You know, this one's going to be talking to his friend, this one is going to be in pain, this one is going to be relieved — a lot of little stories that you can sort of look at and see for yourself." 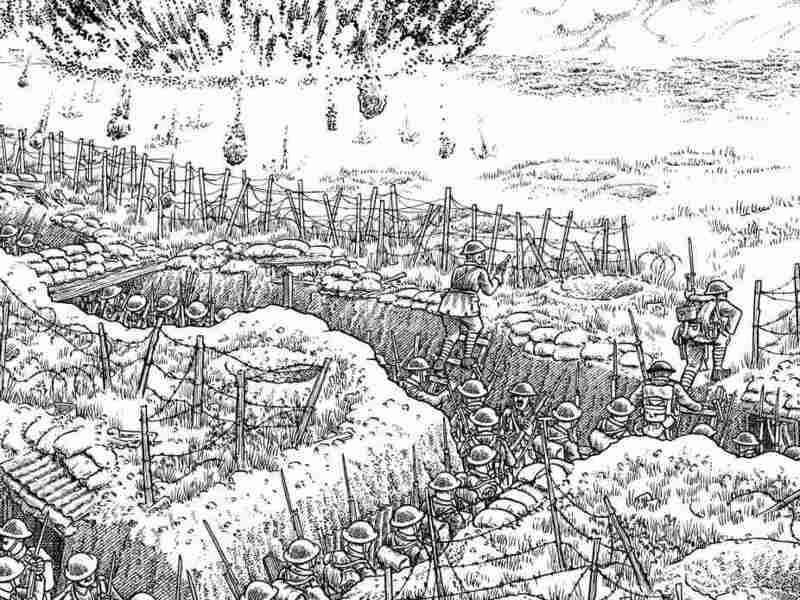 As detailed and realistic as Sacco tried to make his panorama, he knows it can merely hint at what it was really like to be on that battlefield. "I think I captured a representation of this sort of thing, but I don't think I can myself imagine this sort of thing properly," he says. "This is a drawing. It's a filter of sorts that allows me to draw and the reader to look. It's not the real thing." The Battle of the Somme went on for four months. When it ended in November 1916, the allies had advanced less than 10 miles. There were more than a million casualties on both sides.